MEET THE TEAM OF PROFESSIONALS HELPING BRING YOUR NEXT PROJECT TO LIFE. 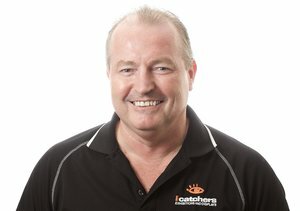 As a founding member of icatchers, Mike has been with the company since 2004, bringing with him three decades of experience in the exhibition industry in Australia, New Zealand and the UK. He loves the challenging nature of the industry and his desire to excel is demonstrated every day when he goes above and beyond to ensure his clients get the best possible outcomes. He loves icatcher’s varied client base and his most memorable project was when icatchers manufactured a display for the Victorian Government as part of the Avalon Air Show. Mark started icatchers back in 2004 after recognising a niche in the industry for high end displays. He stumbled into the exhibition industry in 1994 and was employed by a London company managing projects worldwide, he formed part of the company’s management team before returning to Australia. 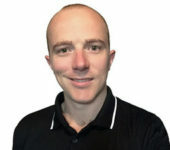 He really enjoys the diversity of each project icatchers is involved in, as well as the variety of clients he helps to promote their brand throughout Australasia. A standout project that Mark is proud of is when icatchers designed and constructed the Microsoft Xbox display at EB games. Mike has worked within the exhibition industry for more than 20 years. His work has taken him around the world and he has carved out a career in the industry in Australia, New Zealand, USA and Europe. Mike joined icatchers in 2009 as a Project Manager and has since moved into the Operations Manager role. He is responsible for ensuring icatchers runs as smoothly as possible so the team can provide the best possible service to its valued clients. Nathan has worked in media and exhibitions for more than 10 years. He has been with icatchers since 2007, first as the Visual Communications Manager and in his current position of Account Manager since 2016. Nathan has a comprehensive knowledge of brand communications which enables him to help icatchers’ clients with their day-to-day needs, while achieving their objectives. Mostyn has been with icatchers since November 2013. He started working on the floor as a cabinetmaker then slowly made his way up to Production Manager. He likes the diversity in each project and how no job is ever the same as the last- which keeps things interesting. His most memorable icatchers project was when he worked on the building of a display for Striplox. Kyle joined icatchers as Visual Communications Manager in 2015. He loves working with icatchers’ clients to produce eye-catching graphics that help them to attract attention to their brands. Kyle has completed an apprenticeship in signwriting and a diploma in graphic design.